Just as we witnessed in some Mosul, Iraq hospitals run by the Islamic State, Chinese medical practitioners in Chinese hospitals are seemingly able to fulfill requirements for organ transplants within four hours, unlike anywhere else on the planet. Apparently they are Falun Gong practitioner organs. We need some help with this investigation. 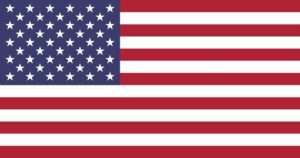 If you are a Falun Gong member and by any means you know of a person, a family member or friend, anyone who was raped in one of these detention camps or facilities please contact us by clicking the above or this email address link. You can email directly to that email address bu if you click the link a securely encrypted form will open that ensures your absolute privacy and security. Under no circumstances, even under pain of prosecution, will we share your information with anyone. 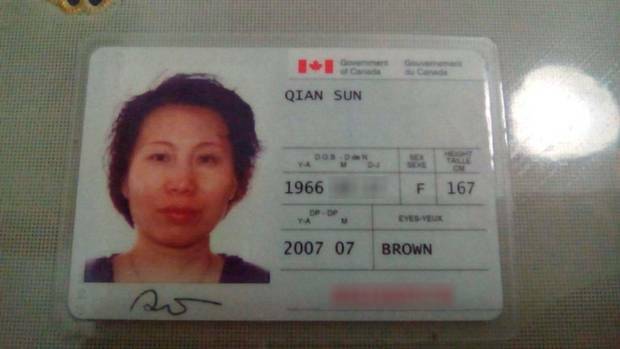 This is Canadian Sun Qian, 51, a follower of the Falun Gong spiritual movement. She was kidnapped in February and held in a solitary confinement cell likened to a “basement” by her lawyer (Globe and Mail) . 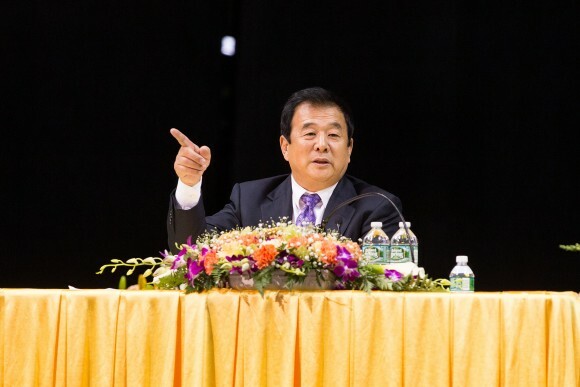 That practice is guided by these qualities says Falun Gong official statements. One of the interesting aspects of Falun Gong is that it debunks many traditional religion’s adherence to flat-earth concepts that pre-date modern science and simply won’t work in the context of mankind colonizing other parts of the universe as Earth becomes significantly overpopulated. 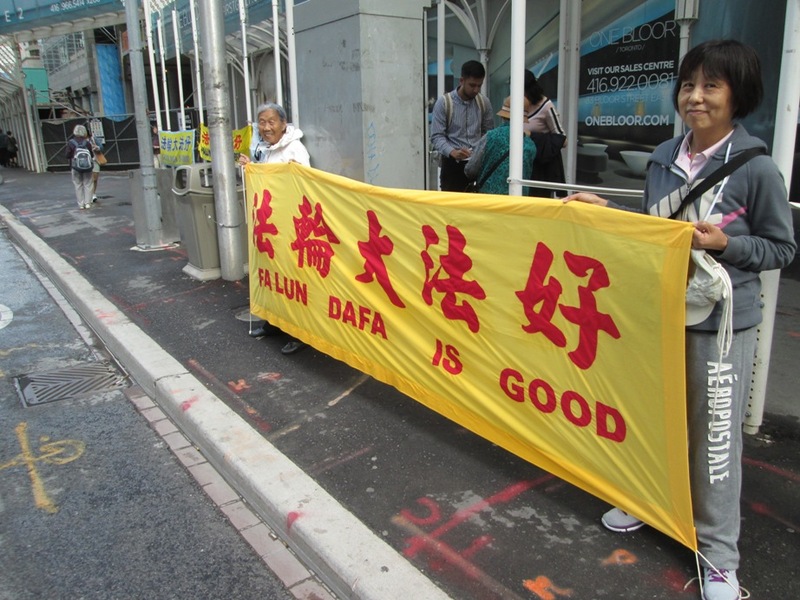 Whatever you think about Falun Dafa, it doesn’t matter. 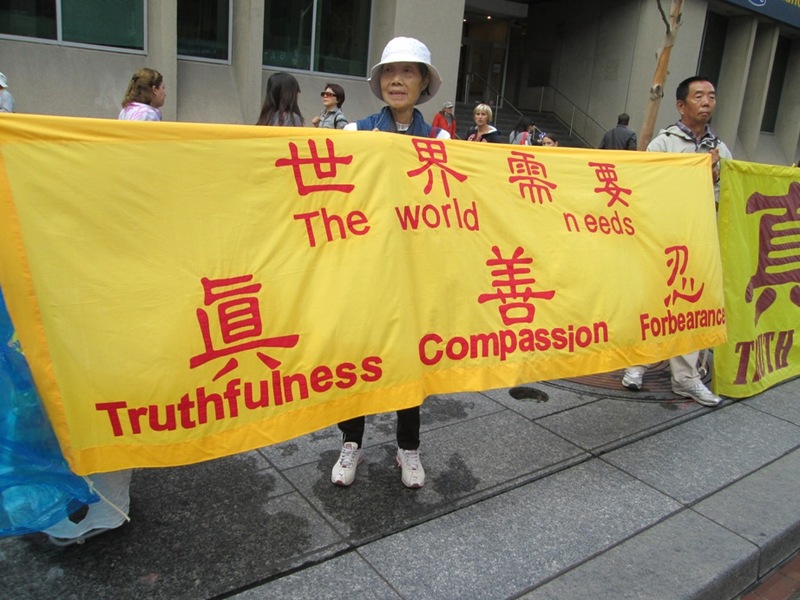 What does matter is that the universal human rights of Falun Gong members are more than trampled. China seems to be conducting a systematic cleansing of this group of persons. Someone in China is trying to murder all of the Falun Gong followers. 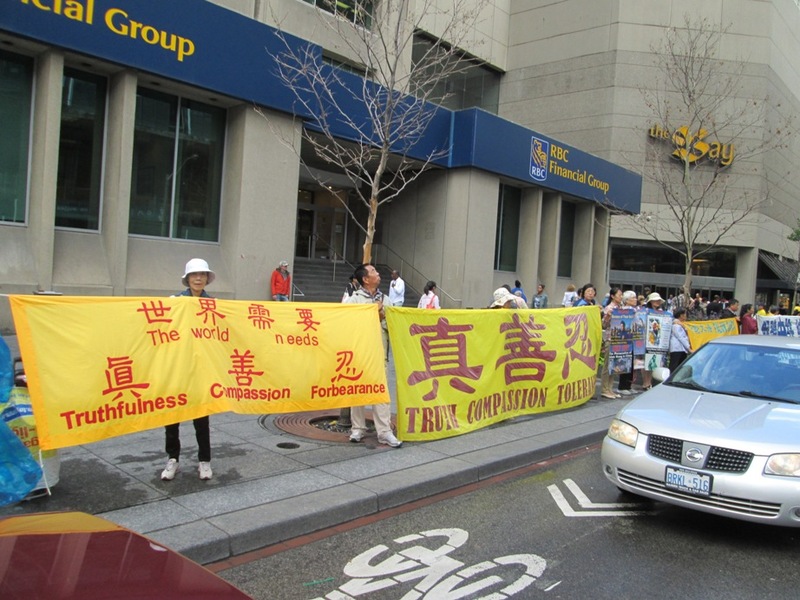 On July 16, 2014, a group of Toronto RINJ workers met with some followers of Falun Gong and had a lovely afternoon while their friends organized an orderly awareness campaign at the intersection of Bloor and Yonge streets in Toronto, Canada. Everyone was comfortable with the talk, except a Chinese women who later explained that her government told everyone that Falun Gong people are dangerous and very evil and crazy. 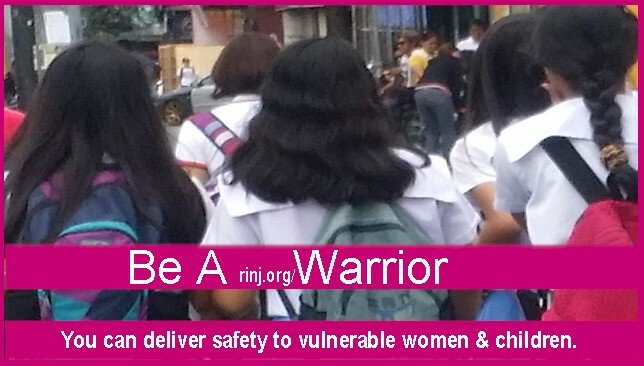 Since that day, The RINJ Foundation has heard many tales of extreme persecution of Falun Gong members. 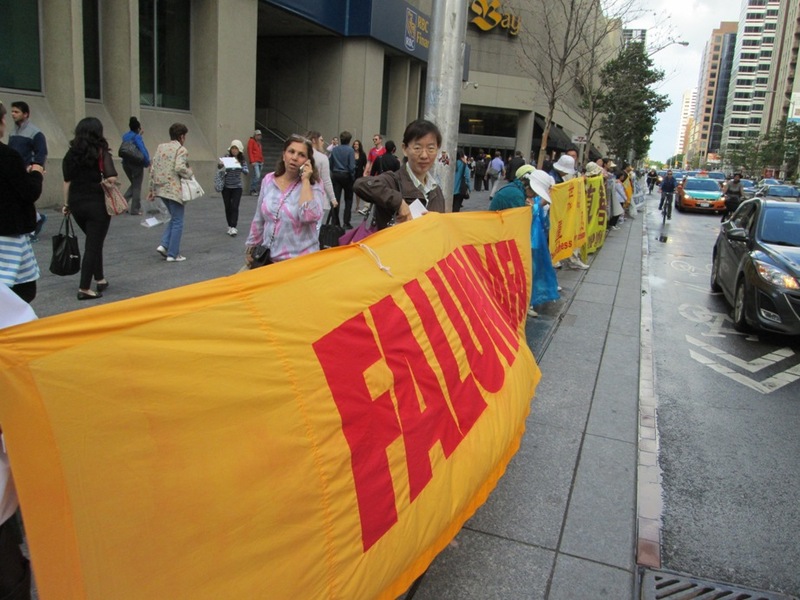 Falun Gong is outlawed on mainland China. Clearly, China is not a bullish adherent of the Universal Declaration of Human Rights. The general public appear to be ‘brainwashed’ into ‘hating’ the Falun Going practitioners.